Join Pak Army – Pakistan Army Jobs 2017: Join Pakistan Army as Sepoy (Sipahi) and Clerks in DGS Corps with open merit from all provinces of Pakistan. Here is the notification for registration that are open from 15th May until 20th May 2017. Interested and eligible candidates can register in their district/city during these dates (See below for complete schedule). To apply online you can visit the official website at www.joinpakarmy.gov.pk starting this week. 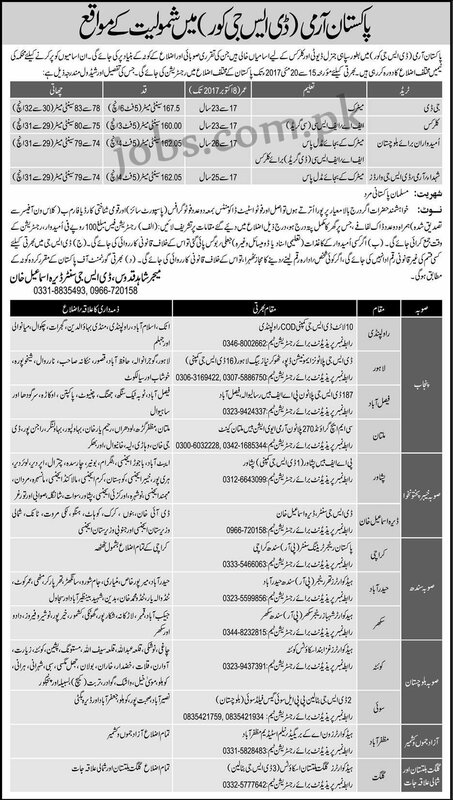 Alternatively you can register by visiting the Army selection centers as given below in job notification ad. 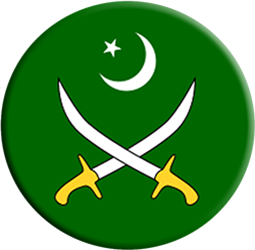 Join Pak Army as Sepoy (Sipahi) General Duty and Clerks DGS Corps with open merit from all provinces of Pakistan. Applications must be Pakistani nationals who can apply to these positions in their district as Hiring teams will be visiting major districts in all provinces during 15th May and 20th May 2017. For documents requirement and complete instructions, please see the job notification given above.